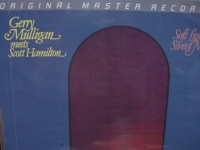 MFSL 180 Gram LP Shop MyMusicFix!! 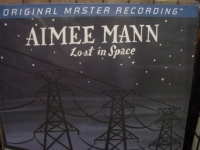 "Aimee Mann, Lost In Space - CURRENTLY SOLD OUT"
MFSL 180 Gram LP. 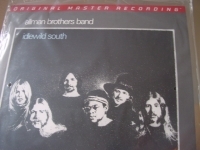 Tracks Inlclude: " "Humpty Dumpty" "High On Sunday 51" "Lost In Space" "This Is How It Goes" "Guys Like Me" "Pavlov's Bell" "Real Bad News" "Invisible Ink" "Today's The Day" "The Moth" "It's Not"
"Allman Brothers, Idelwild South - 180 Gram - MFSL Factory Sealed"
"Gerry Mulligan Meets Scott Hamilton, Soft Lights And Sweet Music - MFSL Factory Sealed 180 Gram Half Speed LP"
"Los Lobos, Good Morning Aztlan - MFSL Factory Sealed - Last Copy - CURRENTLY SOLD OUT"
"Madeleine Peyroux, Careless Love - MFSL 180 Gram LP"
"Patricia Barber, Verse - Factory Sealed MFSL 2 LP Box Set - 180 Gram - 45 Speed"
"Patricia Barber, Nightclub - Factory Sealed MFSL 45 speed 180 Gram Vinyl 2 LP Box Set"
"John Lennon, Imagine - Factory Sealed MFSL 180 Gram LP"
MFSL 180 Gram 1/2 Speed LP. 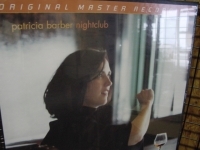 Utilizing updated remixes supervised by Yoko Ono herself, classic tracks such as "Imagine" and "Jealous Guy" are unveiled with sparkling detail and spectacular resolution. 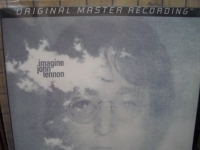 A pure Lennon classic and a must have!!. Tracks Include: "Imagine" "Crippled Inside" "Jealous Guy" "It's So hard" "I Don't Wanna Be A Soldier Mama" "Gimme Some Truth" "Oh My Love" "How Do you Sleep?" "How?" "Oh Yoko!". 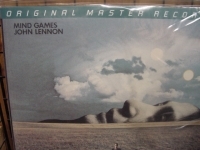 "John Lennon, Mind Games - Factory Sealed MFSL LP - 180 Gram"
MFSL 180 Gram 1/2 Speed LP. Tracks Inlclude: "Mind Games" "Tight A$" "Aisumasen (I'm Sorry)" "One Day (At a Time)" "Bring on the Lucie (Freda Peeple)" "Nutopian International Anthem" "Intuition" "Out the Blue" "Only People" "I Know (I Know)" "You Are Here" "Meat City" "Aisumasen (I'm Sorry) Home version" "Bring On The Lucie (Freda People) Home version" "Meat City Home Version." 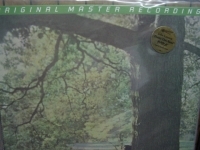 "John Lennon, Plastic Ono Band - Factory Sealed MFSL 180 Gram Anadisq LP"
MFSL Anadisq 180 Gram 1/2 Speed LP. JOHN LENNON PLASTIC ONO BAND - MFSL 180 Gram Heavy Vinyl Sealed LP - NOW OUT OF PRINT & totally gone from the collectors market. Half-speed Production and Mastering by Mobile Fidelity Sound Lab specially plated and pressed on 180 grams of High Definition Vinyl. Mastered from the Original Master Tape and Manufactured by Mobile Fidelity Sound Lab on the GAIN 2 ULTRA ANALOG SYSTEM by Krieg Wunderlilch - Special static free/dust free Inner Sleeve - Heavy Duty Protective Packaging with Liner Notes by Dill Dahl. This LP captures the incredible realism and presence in the listening experience without the annoyance of surface noise, distortion, hiss and disc warpage. The depth and dimension of the music is delivered back to you with all the dynamics and richness of the live recording session. With Mobile Fidelity, you will come as close as possible to hearing the three-dimension quality of the music just as the artist intended it to be. Introspective and painfully personal, PLASTIC ONO BAND is an extremely courageous solo debut for a man who was already subjected to an unprecedented level of public scrutiny. Yet there is no conflict or compromise here between art and commerce here - Lennon clearly serves his muse. Where as the Beatles sang of a pending social revolution, on PLASTIC ONO BAND, Lennon unleashes one. Musically, diverse elements of rock & roll, folk, and heartfelt ballads are melded together and anchored by John's haunting voice and melodic brilliance. 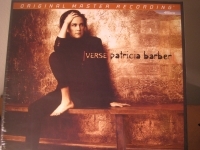 Thankfully, the timeless intimacy and thoughtful meaning behind these songs are finally unveiled via Mobile Fidelity's GAIN 2 mastering process. Tracks include: Mother - Hold On - I Found Out - Working Class Hero - Isolation - Remember - Love - Well Well Well - Look At Me - God - My Mummy's Dead - Power to the People and Do the Oz.